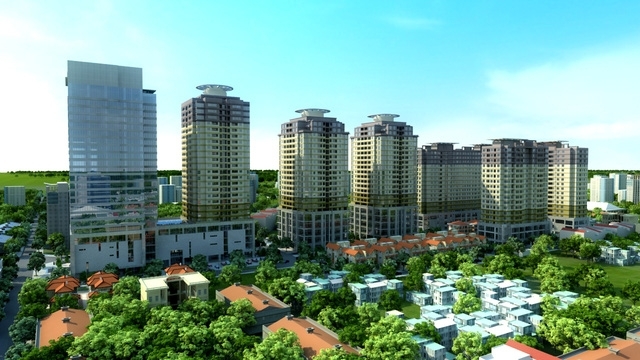 Foreign investment in Vietnam’s real estate market has been on the rise over the past three years, mostly from Japan, South Korea, and Singapore, CBRE (Vietnam) Co., Ltd said in the latest press release. Home to Asia’s second largest retail market in 2018, Vietnam has witnessed increasing merger and acquisition (M&A) transactions championed by deals in property development sites, followed by hotels, apartments, and offices. Notably, developers from Singapore, Japan and South Korea have favored development sites in downtown areas and within close proximity to metro line stations. In retail market, prime retail and office space in Hanoi and Ho Chi Minh City remains much sought after due to the increasing presence of international firms. The prices of Grade A offices rise year-on-year to US$43 square meter (sq.m)/month in Q2 2018 from US$35/sq.m/month in Q2 2016. In the serviced apartment and condominium markets, investors from Singapore, Hong Kong, and Taiwan (China) have shown much enthusiasm in, accounting for 75% of total buyers in the buy-to-let market. Foreign buyers accounted for 50% of all successful residential deals, it means that foreign investors are not merely entering Vietnam to set up operations but they are committed to keeping their money here, according to Vikram Kohli, regional managing director Southeast Asia, CBRE. This could explain the 15% rise in prime residential prices in Ho Chi Minh City over the past two years, he said. With an economy among the world’s fastest growing GDP rates, Vietnam is listed one of the most dynamic emerging markets globally with an expanding middle class and rapid urbanization supported by a young, growing, and educated population, CBRE explained. Particularly, with GDP growth rate projected at 6.8% in 2018 by the World Bank, Vietnam has fueled the appetites of global investors looking to make their mark in the burgeoning domestic real estate market. Last but not least, efforts to ease restrictions on foreign holding of public companies allow the composition of the economic landscape to diversify and encourage foreign ownership of commercial assets.